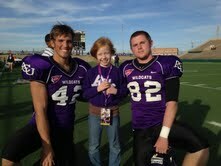 Well, things were looking pretty good for the playoff-bound ACU Wildcats football team last Saturday. In the fourth quarter, two minutes left on the clock, and the score firmly in blow-out territory (61-17), the Wildcats were seeking one more epic gridiron moment. That’s when the nod went to English Instructor, Bill Horn. Chosen by student athletes for the honor of serving as “Guest Coach,” this was Bill’s big moment. Wait, wait! That’s not right! The part about calling an idiot play never happened. But Bill can appreciate a bit of good fiction. On his way to earning his Masters in English he took a creative writing class or two at ACU. More to the point, he prepared himself to become one of our most valuable teachers, one who brings his real-world experience as a coach, runner, triathlete, and recruiter into his writing and literature classrooms. In classes like English 111 and Business and Professional Writing, Bill emphasizes skills that are relevant to success in life. This explains why when the student athletes voted for a guest coach their eyes turned in an unexpected direction, the English Department. English, really? Really. They had taken a class from a teacher who valued the same things they did: dedication, hard work, and excellence. The teacher was Bill Horn. And what really happened when Bill was guest coach? He and his daughter Emma joined the team at their Friday night dinner at Golden Corral and sat in on the subsequent team meeting. When Saturday rolled around they had sideline passes for the game against Incarnate Word at Shotwell Stadium. 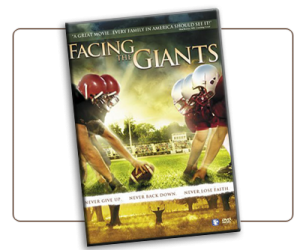 The highlight for Emma came when she confessed to her dad, “I’ve always wanted to hug a football player.” There was one small caveat. Two players to hug and not too sweaty! And, no, Bill didn’t call a play. But if he had? We’re pretty sure he would have punted.